16 straws and cloud flags per pack. White and Mint Stripe. 19.5cm (H) x 0.5cm (D). These mint and white striped “Hello World” paper straws are just the thing your baby shower needs! 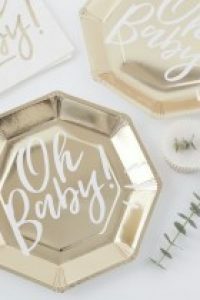 This cute little detail will add something quirky to your party! Each straw has an adorable white cloud – a unique, extra bit of style! 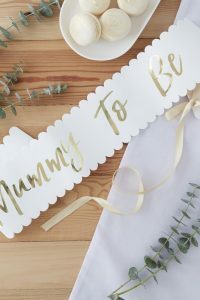 These straws are the perfect finishing touch for any drinks or mocktails you wish to serve at you upcoming baby shower. Pop them into your favourite juice or sparkling spritzer! In mint and white these straws are versatile to many palettes and gender neutral! With each pack containing 16 straws there will be loads to pass around to your nearest and dearest. Sip those delicious party drinks in style with these cute “Hello World”Cloud Paper Straws! 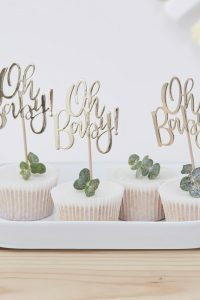 A perfect match to these gorgeous cloud cup cake toppers!